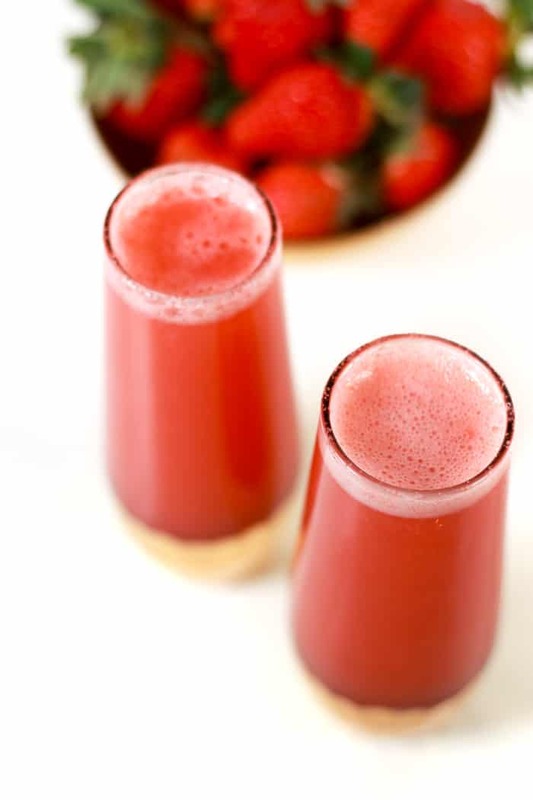 Strawberry Mimosas just make brunch rosy! 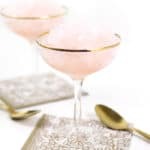 Whether you make them for a weekend with gal pals, a wedding shower or a celebration like Easter, Mother’s Day or Valentine’s Day, these sparkling pink mimosas are the perfect way to toast the day ahead. One of the best qualities of springtime is getting to spend time with people. The winter holidays are always splendid for this too, but it’s the months afterward that make me more introverted. After a cold winter like this one, I feel like I am finally coming out of hibernation. Brunch has been a BIG focus for me lately. I just love brunch. Any excuse to eat waffles is fine with me. 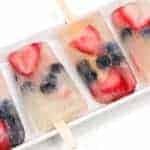 Whether it’s been grabbing brunch out on the weekend with a friend or enjoying a smorgasbord at home, I have been all about that breakfast-lunch combo. Another thing I love about springtime is crafting with my mom. She came over last weekend for brunch at the new Rivermen Brewing Company down the street from us, but also to help me with some around-the-house projects. With Mom’s help, we matted, framed and hung some posters that Chris and I bought in Nashville, covered some tissue boxes and played around in my photo studio. We always seem to get into springtime crafts. Last year we spent a day making these Marbled Gold Easter Eggs, which were SO fun and turned out so beautifully. Another year we made Natural Egg Dyes — one of my favorite dye jobs ever. Now I’m rambling. But seriously: Brunch + crafts = springtime. 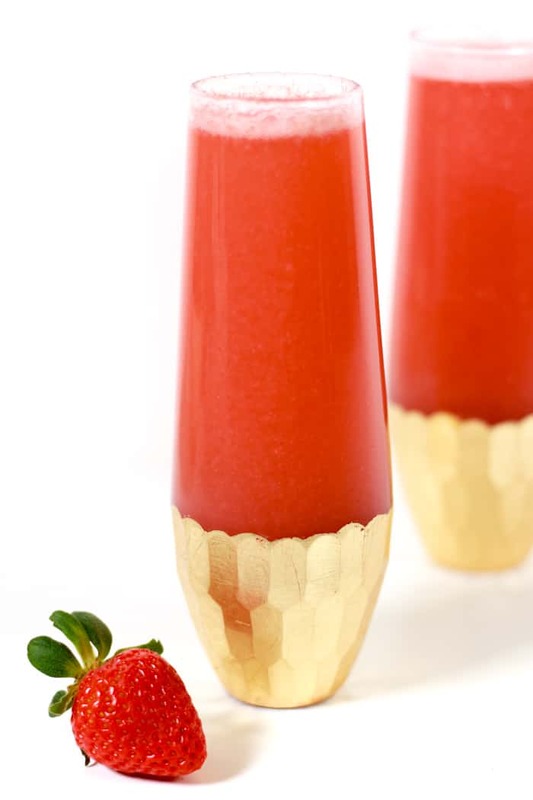 So with Easter coming up this weekend, and Mother’s Day soon after that, I’m excited to present to you the brunchiest springtime cocktail: Strawberry Mimosas. 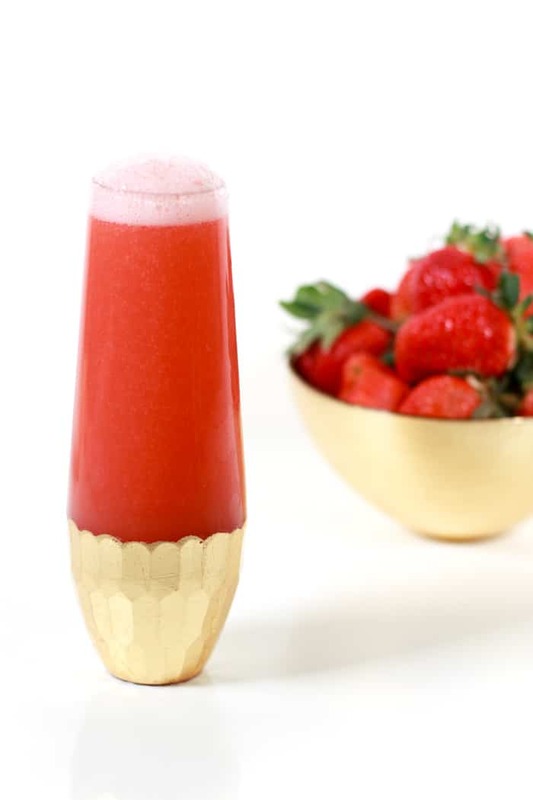 Strawberry Mimosas are a bright, rosy and full of flavor. 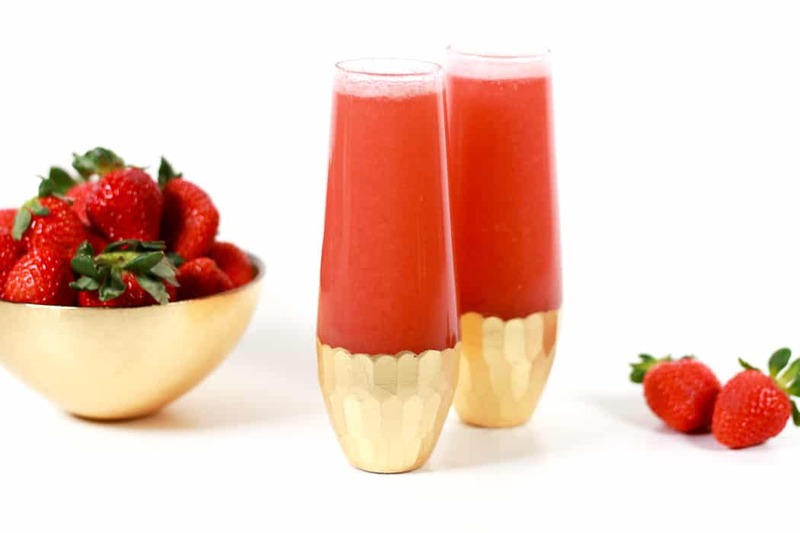 If you like regular mimosas and strawberries, you’ll love these. 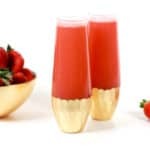 Traditionally a mimosa is made with orange juice plus champagne, but pureed strawberries make for a sweeter version of this brunch classic. 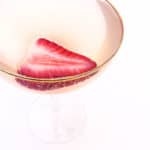 If you aren’t sure what kind of champagne to get, you’re in luck because I have a guide for you that explains how to choose a sparkling wine. 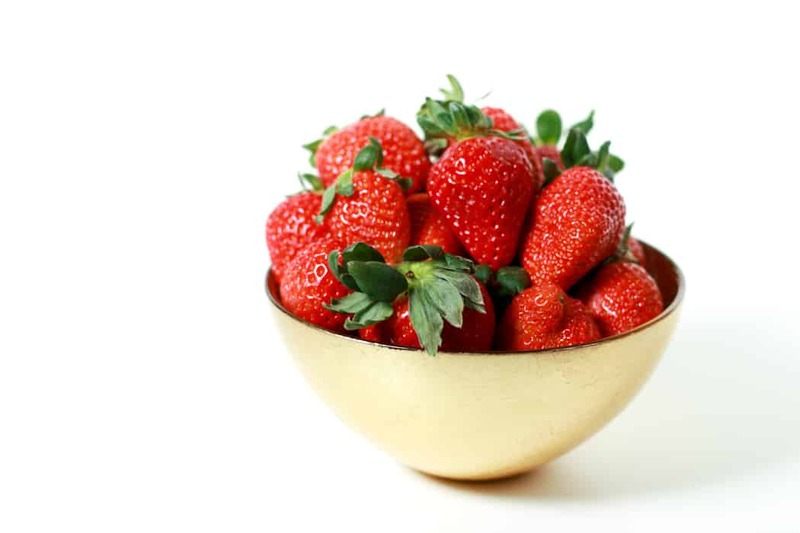 Because strawberries are so sweet, I usually suggest a drier champagne or sparkling wine like prosecco. 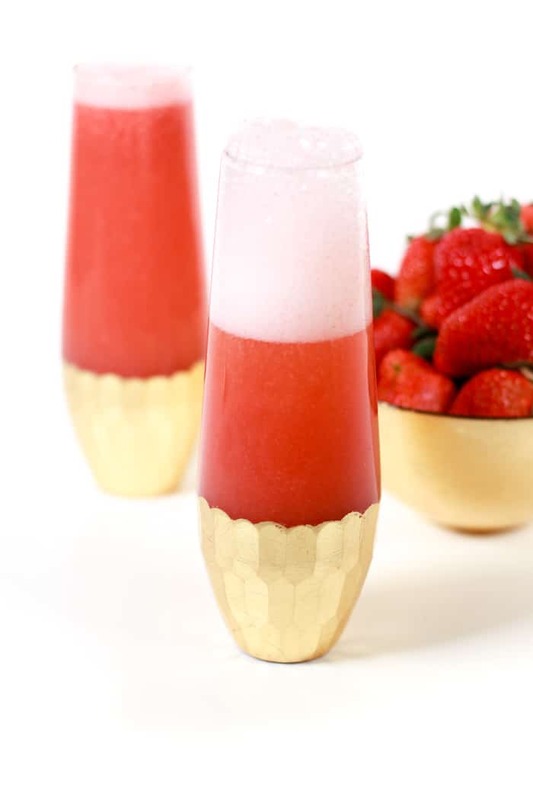 You want the bubbly to have a bit of a bite still. 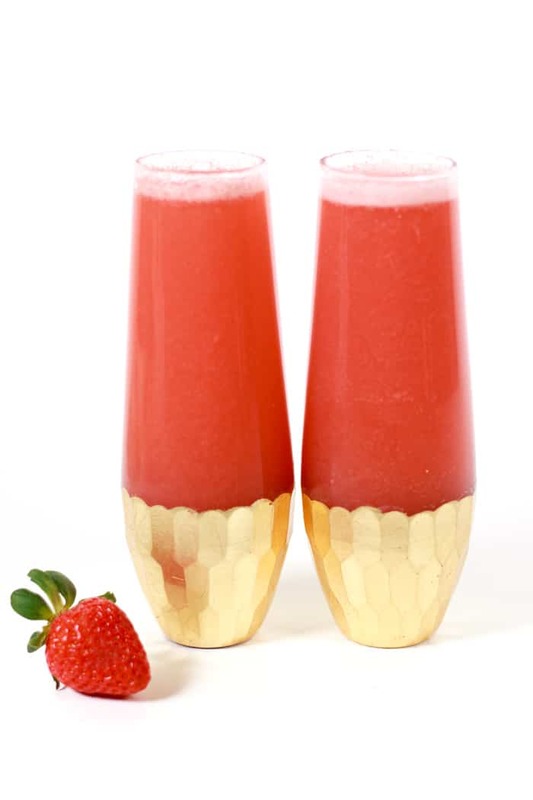 Strawberry Mimosas are a perfect choice for wedding shower menus, girlfriend brunches at home and Crafternoons with your mom. 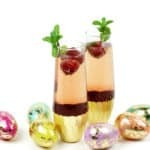 It’s also a really different drink to serve at brunches for Easter, Mother’s Day or even Valentine’s Day. Classic is nice, but switching things up is way more fun if you ask me! 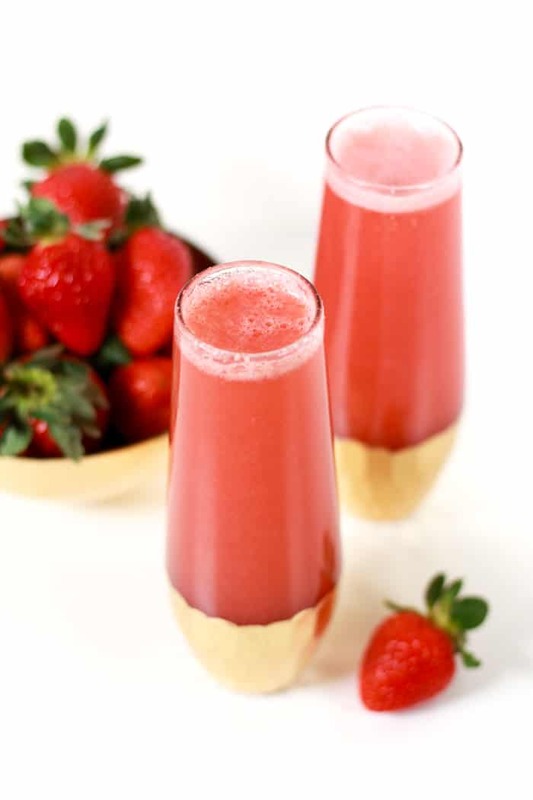 Strawberry Mimosas should definitely be on your radar this spring! 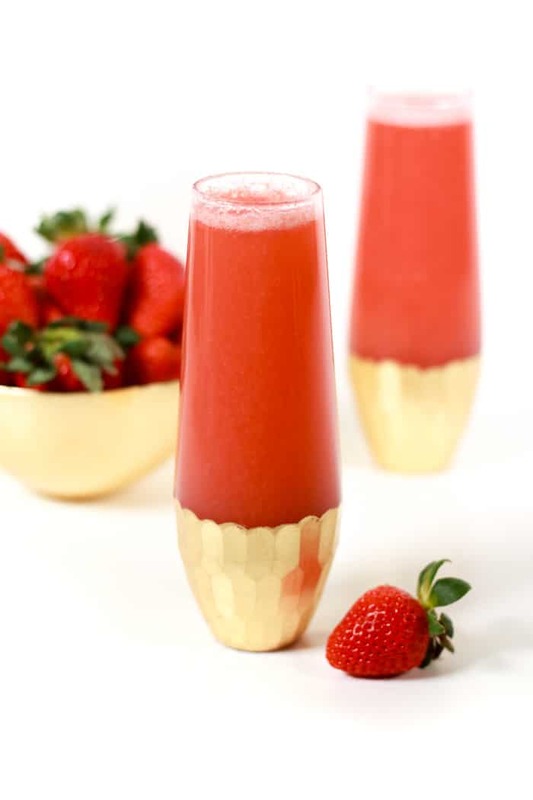 I can’t wait to make these Strawberry Basil Margaritas soon either. P.S. 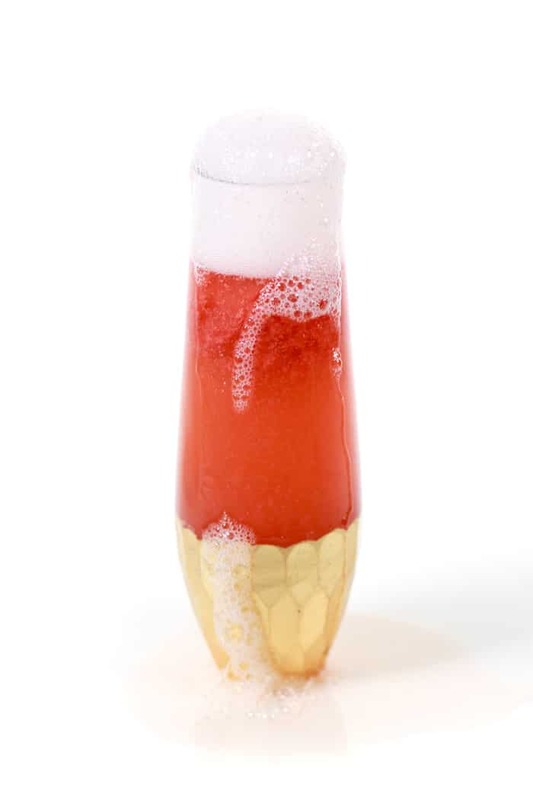 What cocktail is on your Easter menu?